Section 9A which was inserted by a State Amendment to the Code of Civil Procedure, 1908 provides that when at the hearing of application relating to interim relief in a suit, objection to jurisdiction is taken, such issue to be decided by the court as a preliminary issue and the court must first proceed to determine the issue of jurisdiction as a preliminary issue before granting for setting aside the order granting the interim relief. Till date, the Judges of the Civil Courts in Maharashtra would entertain even issues of limitation in section 9A applications. However, the Hon’ble Supreme Court has recently held in Kamalakar Eknath Salunkhe vs. Baburav Vishnu Javalkar & Ors. (Civil Appeal No. 1085 of 2015) that the word ‘jurisdiction’ used in section 9A did not include issues of limitation. However, the judgement has received some criticism, even from the Judges of the Supreme Court itself. In the said Judgement the Hon'ble Court observed that the reason for the State Amendment was to prevent the malafide practice followed in the City Civil Court in filing the suits against the Government without giving notice under Section 80 of the CPC and after the interim relief continued the plaintiff takes permission to withdraw the suit and to file a fresh suit. "....The expression “jurisdiction” in Section 9A is used in a narrow sense, that is, the Court's authority to entertain the suit at the threshold.... The question of jurisdiction, sensu stricto, has to be considered with reference to the value, place and nature of the subject matter. The classification into territorial jurisdiction, pecuniary jurisdiction and jurisdiction over the subject-matter is of a fundamental character. ....This inherent jurisdiction of a Court depends upon the pecuniary and territorial limits laid down by law and also on the subject-matter of the suit. While the suit might be barred due to non-compliance of certain provisions of law, it does not follow that the non-compliance with the said provisions is a defect which takes away the inherent jurisdiction of the Court to try a suit or pass a decree. The law of limitation operates on the bar on a party to agitate a case before a Court in a suit, or other proceedings on which the Court has inherent jurisdiction to entertain but by operation of the law of limitation it would not warrant adjudication......"
"...A perusal of the Statement of Object and Reasons of the Amendment Act would clarify that Section 9A talks of maintainability only on the question of inherent jurisdiction and does not contemplate issues of limitation. Section 9A has been inserted in the Code to prevent the abuse of the Court process where a plaintiff drags a defendant to the trial of the suit on merits when the jurisdiction of the Court itself is doubtful. In the instant case, the preliminary issue framed by the Trial Court is with regard to the question of limitation. Such issue would not be an issue on the jurisdiction of the Court and, therefore, in our considered opinion, the Trial Court was not justified in framing the issue of limitation as a preliminary issue by invoking its power under Section 9A of the Code. The High Court has erred in not considering the statutory ambit of Section 9A while approving the preliminary issue framed by the Trial Court and thus, rejecting the writ petition filed by the appellant....."
"...we are of the view that the decision rendered by the Division Bench in the case of Kamalakar Eknath Salunkhe vs. Baburav Vishnu Javalkar & Ors. 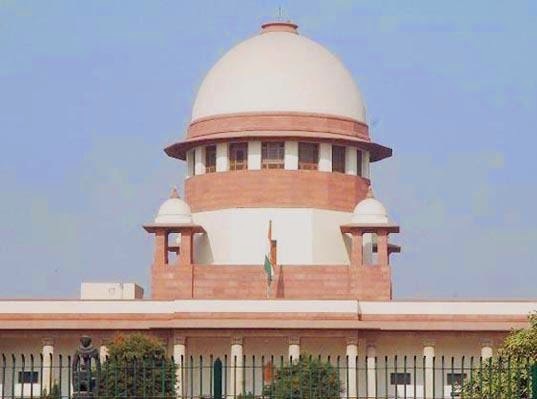 is contrary to the law settled by the Constitution Bench and three Judges Bench of this Court, followed by other Division Bench in Pandurang Dhondi Chougule vs. Maruti Hari Jadhav, AIR 1966 SC 153, (Five Judges Bench) in Manick Chandra Nandy vs. Debdas Nandy, (1986) 1 SCC 512, National Thermal Power Corpn. Ltd. vs. Siemens Atkeingesellschaft, (2007) 4 SCC 451, Official Trustee vs. Sachindra Nath Chatterjee AIR 1969 SC 823, ITW Signode India Ltd. vs. CCE, (2004) 3 SCC 48 and Kamlesh Babu vs. Lajpat Rai Sharma, (2008) 12 SCC 577. The Constitution Bench decision and other decisions given by larger Bench are binding on us. It appears that those decisions have not been brought to the notice of the Division Bench taking a contrary view."